The BBC faces “significant risks” to future performance due to changing audience behaviour, according to a House of Commons select committee. The Public Accounts Committee report flagged risks relating to people spending less time watching TV channels and DVDs, and spending more time watching subscription VOD services from commercial competitors like Netflix and Amazon. The report said that the BBC should strike the right balance between its primary focus of immediate UK audience needs, with creating programmes and other ventures that can be commercially successful and appealing to international markets. “The BBC’s commercial strategy requires it to compete in an evolving and highly competitive global market. 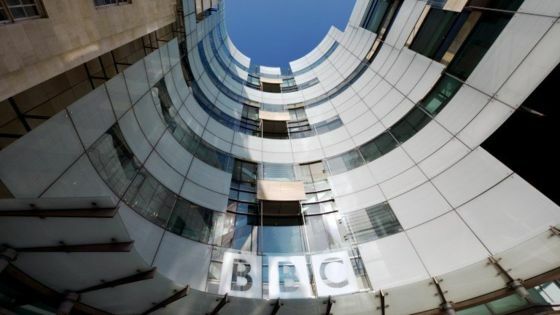 Much is riding on the success of BBC Studios – the biggest change the BBC has undergone in a generation,” said committee chair and MP for Hackney South and Shoreditch, Meg Hillier. It also recommended that the BBC should make “contingency plans” for when commercial partnerships end, noting that the BBC is “increasingly dependent” on working with partners in joint ventures and co-productions with about two-thirds of the BBC’s TV drama funded by commercial deals. Among the committee’s other recommendations was that the BBC should quantify the commercial income it will forego if it decides to make more series available for longer to licence fee payers via iPlayer. It also said that while the BBC needs to take risks to be commercially successful, it should learn “appropriate lessons” from past failings, including the BBC Store, which the corporation decided to close last year after only 18 months due to weak demand. “We recognise the need for the BBC to take risks but it must be responsible, not reckless, in doing so. That means acting on the lessons of past mistakes and taking a robust approach to assessing new ventures,” said Hillier. The Public Accounts Committee examines reports produced by the Comptroller and Auditor General on value for money studies of economy, efficiency and effectiveness with which government departments and other bodies have used their resources.